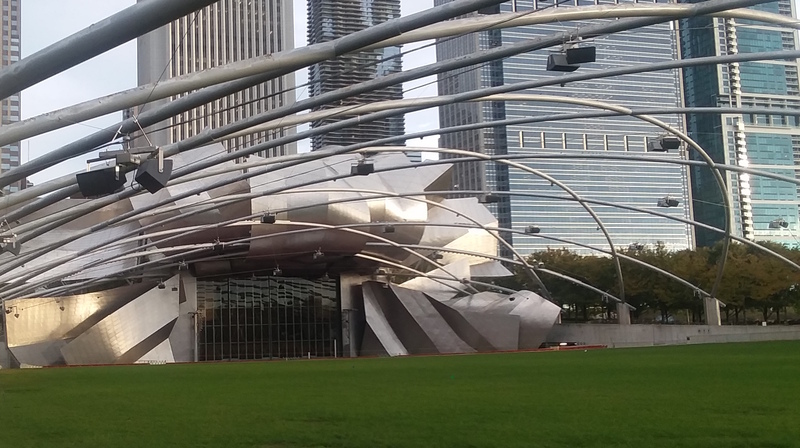 CHICAGO — The 2019 Millennium Park Summer Music Series will offer an exciting lineup of FREE outdoor concerts on 11 dates between June 13 and August 15 (specific dates noted below) at the Jay Pritzker Pavilion in Millennium Park. The music series will feature a wide variety of genre-defying music from top local, national and international artists—both established and emerging. For complete details, visit millenniumpark.org. Thursday, June 13, 6:30 p.m.
Monday, June 17, 6:30 p.m.
Monday, June 24, 6:30 p.m.
Thursday, June 27, 6:30 p.m.
Monday, July 1 6:30 p.m.
Monday, July 8, 6:30 p.m.
Thursday, July 18, 6:30 p.m.
New Orleans brass band-meets-Mardi Gras Indian funk band Cha Wa radiates the firery energy of their city’s street culture. In 2019, the band received a GRAMMY® nomination and last year, the band, whose name “cha wa” means “we’re comin’ for ya” in Indian vernacular, released their sophomore album Spyboy– a combination of ‘70s funk rhythm, right horn parts and deep, bouncing sousaphone. The Millennium Park Music Series is produced by the Department of Cultural Affairs and Special Events and sponsored by the Chicago Transit Authority. Refreshments are available for purchase from Goose Island Beer Company, Riboli Family Wines and Pepsi at various locations throughout the park. For the latest news and events, download the Millennium Park app, visit millenniumpark.org, and follow us on Facebook (MillenniumParkChicago), Twitter, Instagram(@Millennium_Park #MillenniumPark) and Snapchat (ChicagoDCASE).